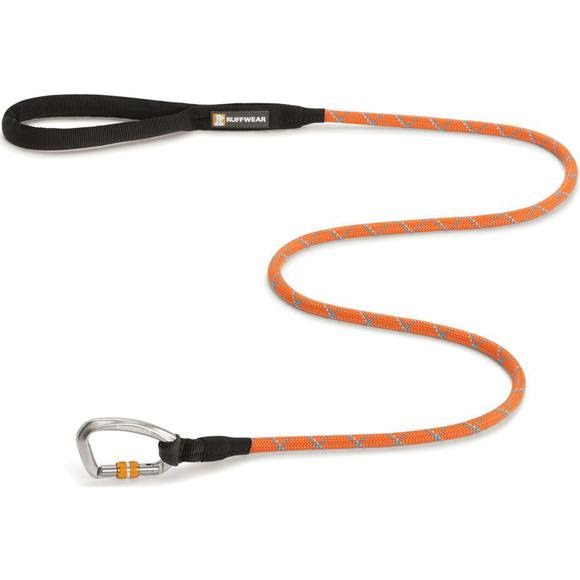 The Ruffwear Knot-a-Leash™ is a rugged, climbing-inspired leash. Our classic design uses strong, supple kernmantle rope and a secure locking carabiner. Reflective rope keeps dogs visible in low-light conditions. Available in two rope/carabiner sizes: the standard 11 mm large size or the packable, 7 mm small size. Both size leashes are 5 ft long.